Basq Advanced Stretch Mark Butter Review | Is it the Best? This cream is loaded. I give Basq NYC full credit for using first-class ingredients (more later), but there were some other concerns when I placed that first order. The official product name is Basq Intensive Treatment Stretch Mark Butter. Basq claims that it can both prevent stretch marks and help get rid of stretch marks that you already have. That’s a pretty tall order. To some degree, boosting skin collagen is that answer to prevention and removal, but removal is notoriously tough. We will see how this stacks up. The Basq stretch mark formula uses Shea butter as its base. I’m a huge fan of this as too many of their competitors use cocoa butter, which is far less effective at deeply penetrating skin layers. Shea butter is far lighter, less waxy, and it can get down where the key ingredients need to be delivered. Let’s talk about those key ingredients. They list three of them on the jar - Biopeptides, Algisium C and Darutoside. Biopeptides are a recent scientific advance. When they reach deep into skin cells, they can stimulate “normal” function. On its surface, that might not sound important. But remember how out of whack our hormones are during major life events like pregnancy or puberty. Having Biopeptides in place to correct imbalances can be incredibly valuable when life is stressing out your skin. Algisium C also is proven to help skin stretch better, and is extracted from the silicon-rich brown algae (laminaria). It’s an excellent moisturizer and regularly used in high-end anti-aging formulations. Darutoside may be the most crucial ingredient. It’s a big collagen stimulant and collagen is the foundation of tissue regeneration. You need rapid regeneration during pregnancy and also to get rid of existing stretch marks over time. For less than $40 you get a 5.5oz. jar. It spreads well and smells absolutely amazing! Everyone uses a bit differently, but I’d estimate that a jar will last you 2-3 months, so expect to spend right around $100-$120 bucks during a pregnancy. As you’ve seen me write before, please start using a high-quality cream like this the moment you find out you’re pregnant. I have used more moisturizers and stretch mark creams than I can count. 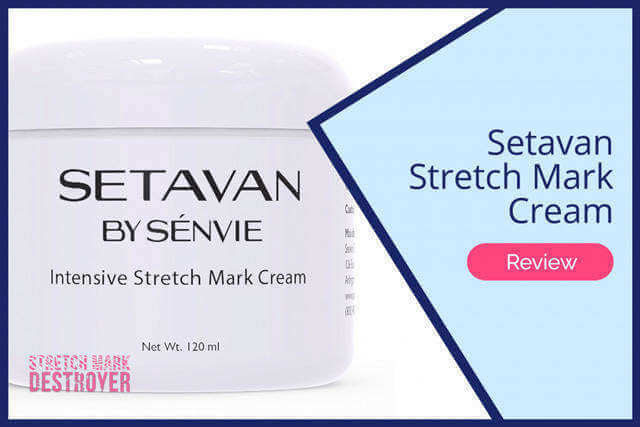 They are critical when you’re pregnant... and I’m convinced that high quality creams applied liberally at least once a day are your best bet if you want to avoid stretch marks entirely. I’ll say this, though. All these creams also claim to be useful for removing stretch marks. But believe me, you’ll need to be patient. Repairing damaged skin can take ages! But Basq deserves full credit for loading their Intensive Treatment Stretch Mark Butter with top-quality ingredients. If you have the means to afford a cream like this, I highly recommend doing so. 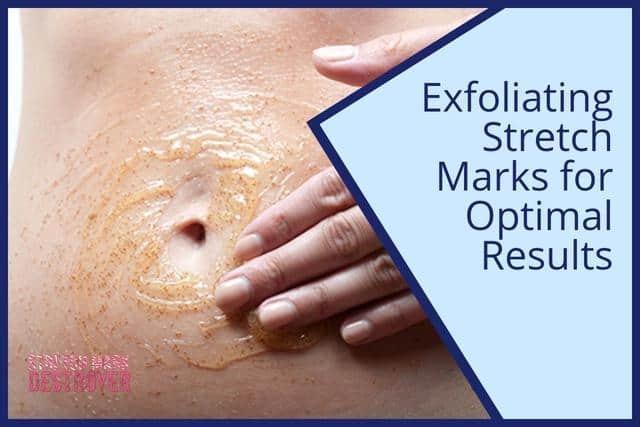 It is a nearly perfect stretch mark prevention formula - truly 5 stars. And from what I can research, it deserves praise for stretch mark removal too. Your own mileage may vary, but I see no reason not to give it a shot. As of this writing, Amazon shows 163 reviews with an average of 4.4 out of 5 stars. I’ve copied a couple of them below, but what I’ve read there is pretty consistent with my own review. This lotion is so amazing. I bought it to use throughout my pregnancy to reduce the risk of stretch marks. So far, over 30 weeks in and I do not have any at all. I did a lot of research on different creams and ended up getting a few to test out. This was by far the best. It is thick and creamy, but doesn't leave your skin feeling greasy at all. When I'm in a hurry getting ready for work, I can put this lotion on and it is quickly absorbed and I don't feel like I need to let it soak in before getting dressed. It was a bit pricy, but so worth the extra money. I started using it around 18 weeks and still have about 1/4 left and I use a generous amount every day. I am addicted! Highly recommend. I am currently in my 3rd pregnancy and have used this cream each time. My first two pregnancies I got ZERO stretch marks. I gained 30 and 40 pounds with each of those and was all belly ( so huge belly!). This time I have a couple tiny ones on each hip but I have also gained a little more this time around. I feel like this cream has really worked! My sister and my mother got horrible dark red stretch marks that covered their whole bellies so you would think I would have the same issue but I haven't. It has to be the cream! I just ordered one more container too for after the baby is born to keep putting it on the couple littles ones I got this time to help them go away. I would say I go through 3 of these a pregnancy. The official website for Basq has some glowing reviews too - which you’d expect, of course! Others that I found on places like Dermstore were complimentary, too. I didn’t find any that blasted the product, which is good. I also looked around to see if there were negative views on Basq NYC (which can be a real red flag), but they seem to be well-regarded all over. Basq’s own site offers a satisfaction guarantee, but it’s a little bit vague. It looks like they’ll pay for return shipping if you’re unhappy for any reason, but you’ll have to get the product back to them for credit. Where to Buy Basq Stretch Mark Cream? I almost always recommend buying beauty products at Amazon whenever they’re available there. Generally, it’s the most competitive price, but I also think their return policies are the best. You do have to beware third-party sellers, though. It isn’t hard for crooks to sell old/expired or “knockoff” items on Amazon, though I don’t feel like scams are common. If you are a member of Amazon Prime, you’ll also get the benefit of 2-day shipping. And some beauty products are even included in their monthly subscribe and save program,which can trim another 15% off prices! if you’re either pregnant or in the middle of puberty, try using this cream at least twice a day. Apply on any areas where skin is in danger of stretching. If you have existing stretch marks, use as above at least once per day. My favorite time is just after toweling off from the shower. Can you use this cream while pregnant? Yes! Can you use this cream while nursing? Yes! Further, Basq has tested this product clinically to ensure that it’s free of allergic reactions and skin sensitivity issues. It’s free of parabens, phthalates, sulfates, caffeine, artificial coloring and mineral oil. In my opinion, prevention is really where Basq skin lotion shines. And I’ve already said that it’s my favorite, so I’ll just throw out an alternative on the off-chance that you experience some sort of sensitivity issue that I don’t expect. If this cream doesn’t prove helpful, you might want to give Mama Mio Tummy Rub Butter a try. That link will take you to my review of it. Anyone with stretch marks can tell you that they are awfully stubborn to remove. 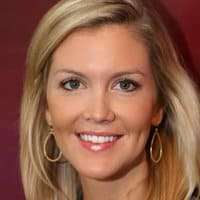 The “secret” is to fill in the damaged pockets throughout your upper skin layers with massive amounts of collagen and elastin. This covers the visibility of the purple and red streaks left when the fabric of the skin was stretched too far. Despite hype claims by less reputable stretch mark removal cream makers, this takes time! You’ll want to shop carefully. Tons of money is wasted on “lose stretch marks fast” schemes. Instead, buy quality creams that have real collagen-building science behind them. There are two that I can recommend from personal experience and here are links to the reviews: TriLASTIN-SR and Skinception.